Seattle is known for museums, parks, zoos & aquariums, nightlife, and shopping. Your plan includes some of its best attractions: explore the world behind art at Chihuly Garden and Glass, take a stroll through Pike Place Market, see the interesting displays at The Museum of Flight, and make a trip to Pioneer Square. For reviews, ratings, more things to do, and more tourist information, go to the Seattle trip planner . Sydney, Australia to Seattle is an approximately 20.5-hour flight. You can also do a combination of flight and shuttle. You'll gain 18 hours traveling from Sydney to Seattle due to the time zone difference. Plan for a bit cooler temperatures traveling from Sydney in April, with highs in Seattle at 19°C and lows at 9°C. Wrap up your sightseeing on the 8th (Wed) to allow time to travel to St. Helena. On the 9th (Thu), indulge your senses at some of the top wineries in the area. On the 10th (Fri), you'll have a packed day of sightseeing: admire all the interesting features of Sonoma Plaza, look for gifts at Petaluma Seed Bank, then learn about winemaking at Pride Mountain Vineyards, and finally learn about winemaking at Modus Operandi Cellars. For maps, other places to visit, where to stay, and tourist information, you can read our St. Helena trip itinerary planning app . Getting from Seattle to St. Helena by combination of flight and taxi takes about 4.5 hours. Other options: do a combination of flight, subway, and bus; or drive. Traveling from Seattle in April, expect nights in St. Helena to be about the same, around 8°C, while days are somewhat warmer, around 25°C. Finish up your sightseeing early on the 10th (Fri) so you can go by car to San Francisco. San Francisco is known for nature, museums, parks, nightlife, and shopping. Your plan includes some of its best attractions: snap pictures at Golden Gate Bridge, take a leisurely stroll along Fisherman's Wharf, take a memorable ride with Cable Cars, and take in nature's colorful creations at Japanese Tea Garden. 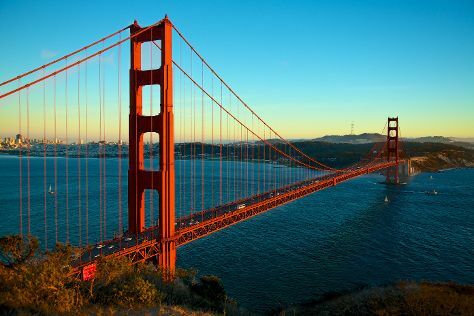 To see reviews, other places to visit, photos, and tourist information, refer to the San Francisco tour itinerary planner. You can drive from St. Helena to San Francisco in 1.5 hours. Other options are to do a combination of taxi and flight; or do a combination of bus and subway. Expect a bit warmer evenings in San Francisco when traveling from St. Helena in April, with lows around 12°C. 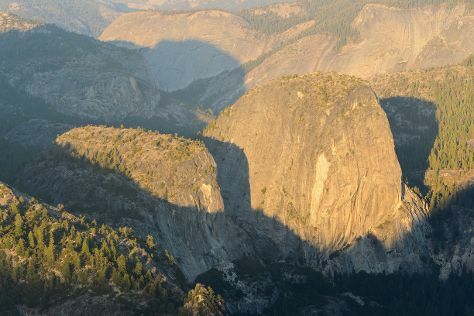 Wrap up your sightseeing on the 14th (Tue) early enough to drive to Yosemite National Park. Spend the 16th (Thu) exploring nature at Elizabeth Lake, Yosemite National Park. There's still lots to do: take in the dramatic natural features at Glacier Point, take in the dramatic scenery at Chilnualna Falls, hike along Mariposa Grove of Giant Sequoias, and stroll through May Lake Trailhead. To see ratings, traveler tips, other places to visit, and tourist information, read Yosemite National Park trip itinerary planner . Traveling by car from San Francisco to Yosemite National Park takes 4 hours. Alternatively, you can take a bus; or do a combination of subway, flight, bus, and taxi. When traveling from San Francisco in April, plan for slightly colder days and cooler nights in Yosemite National Park: temperatures range from 17°C by day to -2°C at night. Finish your sightseeing early on the 18th (Sat) to allow enough time to travel to Los Angeles. Change things up with a short trip to Disneyland Park in Anaheim (about 30 minutes away). Pack the 20th (Mon) with family-friendly diversions at Universal Studios Hollywood. And it doesn't end there: examine the collection at The Getty Center, see the sky in a new way at Griffith Observatory, and partake in some friendly competition at Fantastic Race. To see ratings, where to stay, more things to do, and other tourist information, you can read our Los Angeles attractions planner . Traveling by combination of car and flight from Yosemite National Park to Los Angeles takes 4.5 hours. Alternatively, you can drive; or do a combination of taxi, bus, and flight. While traveling from Yosemite National Park, expect a bit warmer days and warmer nights in Los Angeles, ranging from highs of 28°C to lows of 15°C. Finish up your sightseeing early on the 21st (Tue) so you can go by car to San Diego. San Diego is known for museums, zoos & aquariums, beaches, parks, and historic sites. Your plan includes some of its best attractions: meet the residents at San Diego Zoo, see the interesting displays at USS Midway Museum, immerse yourself in nature at Torrey Pines State Natural Reserve, and tour the pleasant surroundings at Sunset Cliffs Natural Park. For traveler tips, reviews, other places to visit, and more tourist information, read our San Diego trip itinerary planning website . You can drive from Los Angeles to San Diego in 2.5 hours. Alternatively, you can take a bus; or fly. April in San Diego sees daily highs of 25°C and lows of 17°C at night. On the 26th (Sun), you'll have the morning to explore before heading back home.